Dr. Adeniji-Neill’s research interests include parental expectations as a determinant of educational success, social studies education, indigenous education, immigrant education, and multiculturalism. She is a well-published poet and author of multiple books, chapters, and academic articles. Dr. Adeniji-Neill has been invited to present at numerous events, including the 56th Session of the United Nations Commission on the Status of Women. She also received faculty development grant from Adelphi University. 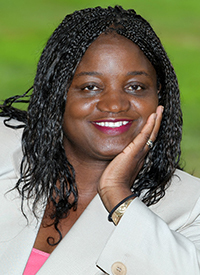 Dr. Adeniji-Neill earned her Ph.D. in Curriculum and Instruction from the University of Hawaii at Manoa. She also holds an M.A. in Liberal Studies from Dartmouth University and an M.A. in Sociology and Anthropology from The American University in Cairo, Egypt.